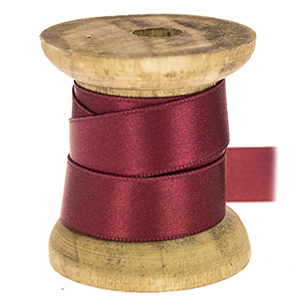 These beautiful Satab ribbons are renown in the fashion industry for their quality and sheen, this along with a fabulous range of 'elusive' colours makes this a very exciting addition to our range of ribbons. Available in 3mm, 6mm, 10mm, 15mm, and 25mm (the 3mm has 50m on a reel the 6mm,10mm,15mm, and 25mm have 25m on a reel) we have selected all the traditional favourites as well as a wonderful collection of on-trend colours we think are just divine for weddings. Primarily selling to the high fashion market Satab may be an unfamiliar name to many but it is an incredibly luxurious ribbon (3mm has 50m on a roll, all the other widths have 25m on a roll.) We think they offer a wonderful palette of contemporary colours and the quality is superb. With wedding stationery and wedding styling in mind we simply had to have Satab ribbon.